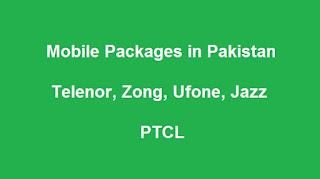 Are you looking for best mobile package in Pakistan? if yes than here we have a list of 3g packages, 4g packages, internet packages, call packages and sms packages details uploaded on single page and categorized by network and plan type so you can easily choose your bucket plan for your telecommunication needs. Here we have put together a great list of internet, call and sms packages for all the mobile network providers in Pakistan and we are sure that you guys are getting benefited from this information. If you need us to do more in for telecom industrial information than keep visiting us and we will provide you more services for sure.